Hairless; mouth, front limbs and shoulders well developed; eyes and most other organs embryonic; sharp curved claws on front feet but hind limbs undeveloped; lips joined at outer edges. Permanently attached to teat; ears still fused with the skin of the head; hind legs developing; outer edges of lips still joined together; still hairless. Facial structures forming; ears fully unfolded but lying close to head; whiskers forming but otherwise still hairless; lips still joined. Fine fur forming on ears; eyes may be open; still permanently attached to teat. Eyes open; lips beginning to separate. Fine layer of fur on dorsal side of limbs; no longer permanently attached to teat; lips fully separated; lower incisors erupting. Fine fur about one millimetre long over much of the body; skin of nose and soles of feet still pink; first molars visible, upper incisors erupting; head out of pouch occasionally. Fur thicker; premolars and second molars erupt; ventures out of pouch when in burrow. Fully furred but rudimentary tail still visible; muzzle still narrow and ears appear too large for head; out of pouch more often; nibbling grass while in pouch with head out, as well as when out beside mother. Leaves pouch permanently; soles of feet darkening, also skin of nose; suckles from elongated teat; stays close to mother most of the time; eats more and more grass; probably eats mother's scats occasionally to establish bacterial colonies in its digestive system. Weaned during this period; remains with mother for a variable time after weaning. Data for this table were obtained from measurements of bare-nosed wombats taken on 42 road kills, 17 hand-reared wombats, and from data given in Presidente (1982) and Mcllroy (1973). Data compiled by Taggart etal. (2007) for the southern hairy-nosed wombat is very similar to the above. 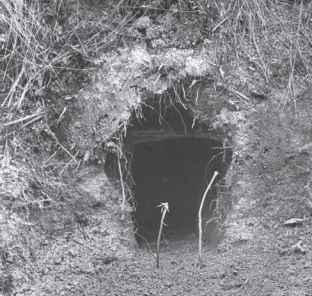 The study of northern Tasmanian bare-nosed wombats by Green and Rainbird (1987) gives more detailed descriptions of growth and development.